The TARA Labs Headphone Cable Series are a revolutionary new high-end audio cable series from TARA Labs. The Echo live is an affordable model of high-end audio headphone cable. 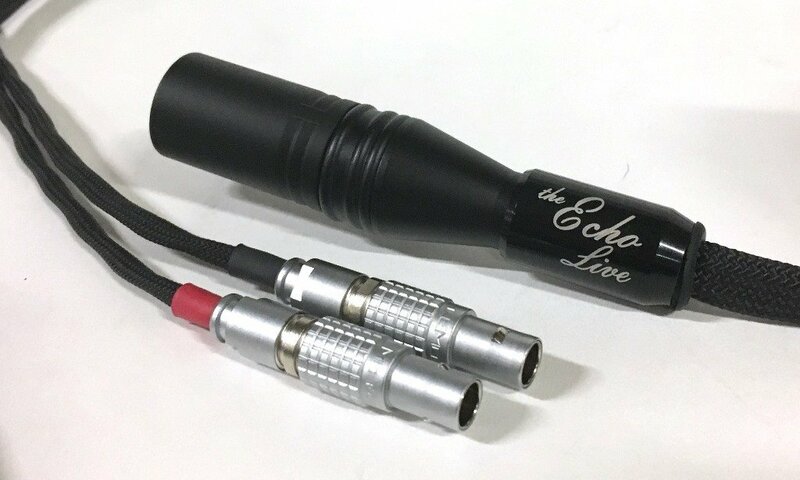 The Echo Live is available with a wide variety of termination options and custom lengths that are compatible with most headphone manufacturers world-wide. The standard length is 2.4 meters/8ft. and is terminated with gold plated 4 pin balanced XLR male connector on the source end and can be terminated with either a gold plated 3.5mm stereo mini or a gold-plated ¼” stereo phono adapter on the source side. The Echo Live is carefully constructed to eliminate any transient triboelectric noise within the cables construction, as well as their ability to dampen. In addition, our customized geometric construction has virtually eliminated internal micro-phonics as well as any triboelectric noise. What the listener will hear with the Echo Live headphone audio cables is a low noise floor, high frequency extension & details and full mid-range with defined bass and soundstage. Musicality is excellent. TARA Labs The Echo Live headphone cable is custom hand-crafted at our factory in Oregon, USA, and lifetime guaranteed.